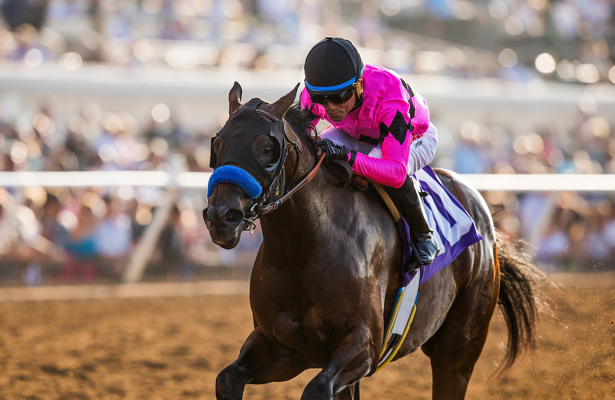 Earlier this week, in introducing Horse Racing Nation’s Derby Radar, we covered when and where 2019 Kentucky Derby contenders can be expected to debut. Dates and locations shift a bit if talking about those horses actually winning their first race — the point at which we’ll be putting a number of promising colts “on the radar." In examining the Derby fields going back to 2013 -- that's when Churchill Downs instituted its points system to replace graded stakes earnings as a qualifier -- we found September to be the hottest month for first starts. As for first wins, you have to turn the calendar a couple pages. 1. September remains a big month for emerging 2-year-olds, with 21 eventual Derby starters since 2013 breaking their maidens that month. November did two better, 23 overall, to lead all months. 2. Churchill Downs is the top track to watch, with 20 Derby starters breaking their maiden under the Twin Spires. That’s partially a product of hosting spring, September and fall meets. Nine Derby horses have come from the September meet and eight from the fall compared to three from the spring. So for the rest of this year, stay tuned. 3. 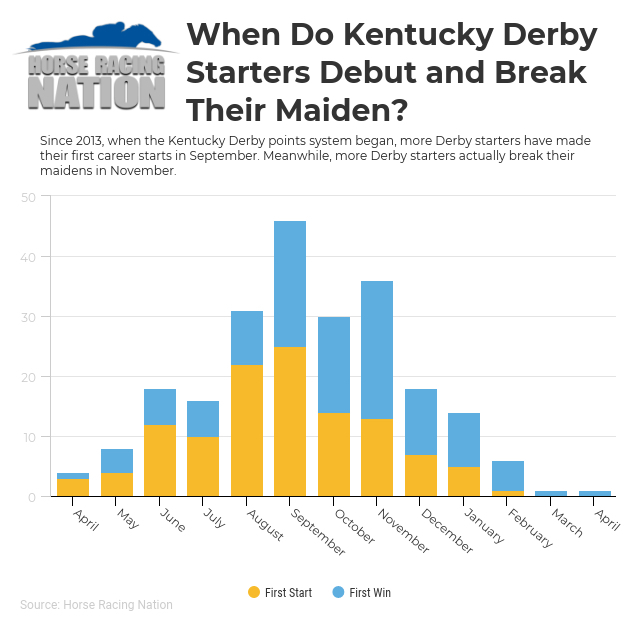 Perhaps showing an adjustment to the points system, just two Derby starters broke their maidens in January in 2013 and 2014. Both of those horses ran on Jan. 1 and were trained by Todd Pletcher. Every year since, at least one Derby starter broke his maiden in February. In 2017, Irap scored his first victory in the April 8 Blue Grass Stakes. Hofburg visited the winner’s circle this year in March before going straight to the Florida Derby. From here, we’ll monitor maiden, allowance and 2-year-old stakes action at the nation’s largest circuits, looking for the well-bred winners, trained by top connections who could hop on the Kentucky Derby trail in their next starts.